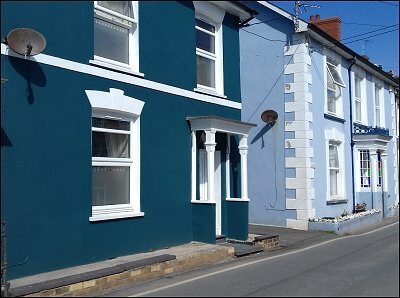 12 Park Street, New Quay - cottage sleeping 8. 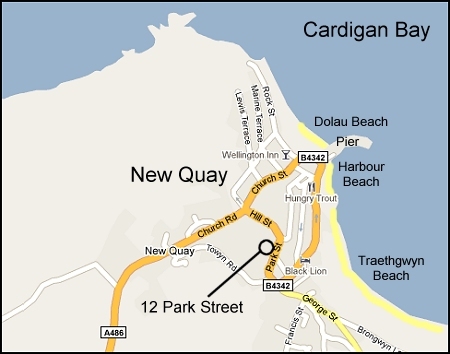 12 Park Street is a newly renovated and beautifully furnished family holiday house with four bedrooms sleeping up to eight, and is just a few minutes walk to the beach, shops, and many restaurants in the Cardigan Bay resort of New Quay. 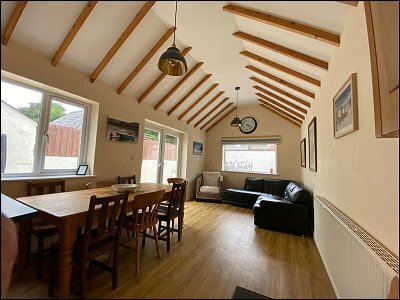 With two sitting rooms and an enormous kitchen and family room, this house is ideal for family holidays and celebrations. Discounted prices for 2-4 persons for 7 nights only where shown. 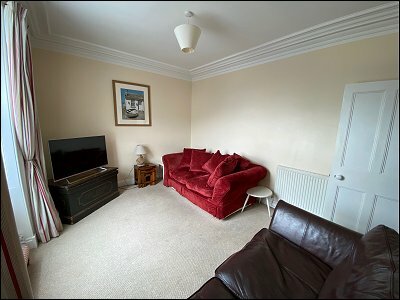 Accommodation: There are two ground floor sitting rooms both with sofas and flat screen TVs with Freesat. 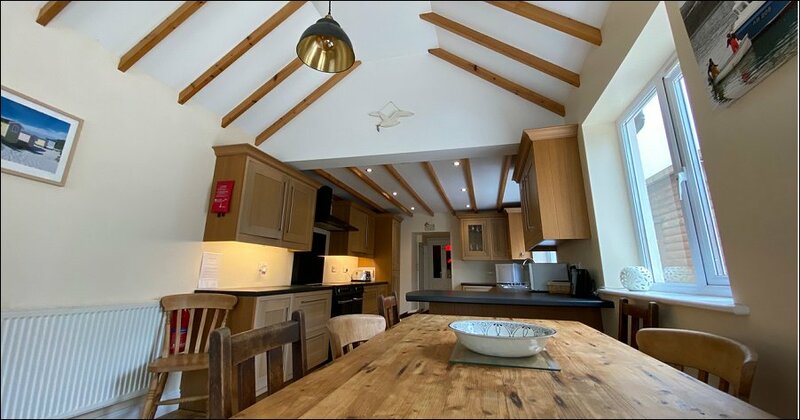 A feature of this house is the enormous Family room / new kitchen with range - cooker, built in fridge and freezer, dishwasher and washing machine plus plenty of crockery, glassware, cutlery and cookware. Beyond the kitchen area there is a leather sofa and the French doors opening onto the terrace, and at the far end is the large dining table with seating for 8. There is also a travel cot, stair gate and high chair. 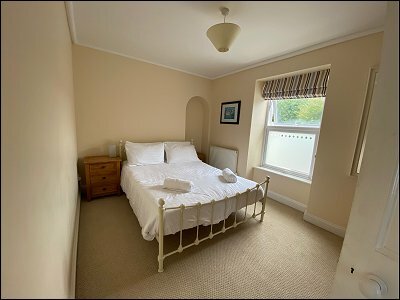 Upstairs there is a King size bedroom overlooking the terrace, with adjacent family bathroom with bath, separate shower cubicle, WC and basin. 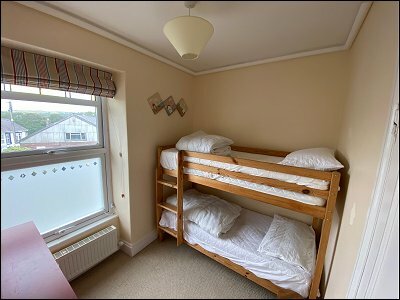 There is also a twin bedroom and a smaller bedroom with bunk beds. On the second floor there is a large loft bedroom with King size bed and ensuite shower room with shower, WC and wash basin. There are some low roof beams in this loft area and care must be taken on the stairs. 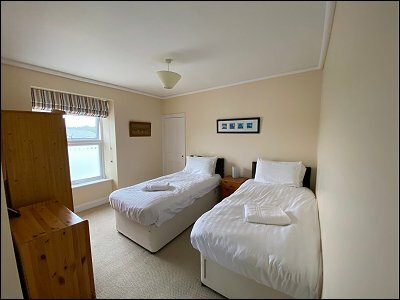 There is full central heating with radiators in all rooms. Parking: private off road parking for two cars accessed from the lane behind the house. 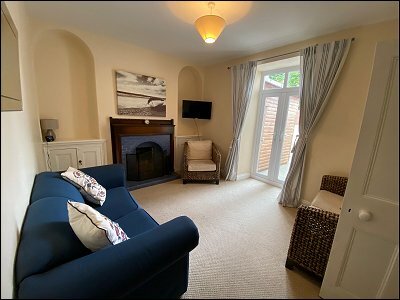 Outside: There is a very sheltered and private paved terrace behind the house with a large table and 8 chairs together with a charcoal barbecue. Children should be supervised outside where there are changes of level in the paved terracing. Linen: bed linen is provided and beds made up. Electricity and central heating - no extra charge. Restrictions: No pets and strictly no smoking inside the house please. 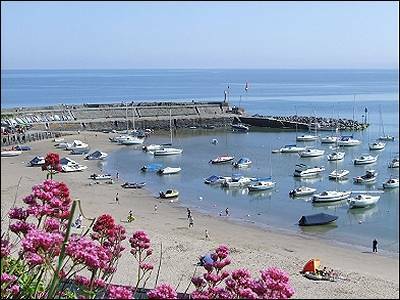 New Quay - This property is just a short walk from the centre of New Quay with its many pubs and restaurants and two beaches, Dolau beach to the west of the pier and the harbour beach to the east. Access: A car can be brought close to the front door of the house, although the private off road parking is behind the house. 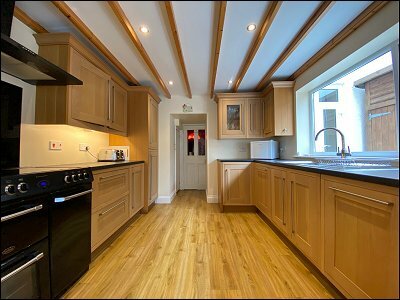 Ground floor is level throughout with wood laminate floors. 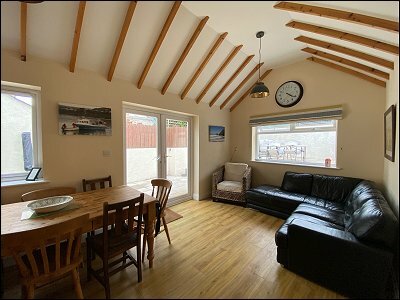 Full oil central heating and double glazing throughout. The stair to the loft bedroom and sections of the loft room have low beams. There are 13 steps down from the two parking spaces at the back of the house and several changes of level to the paved terracing behind the house. . All bathrooms and bedrooms are upstairs. There are no specific adaptations for disabled use. 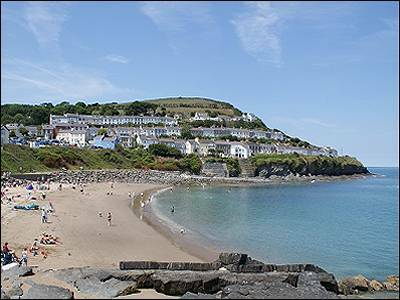 Click here for a page on this part of the Ceredigion Coastal path. 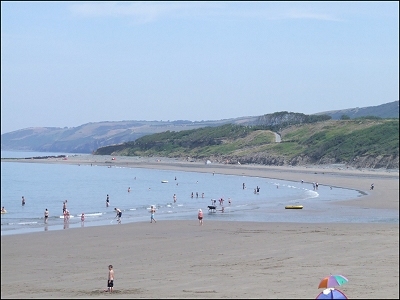 Nant y Gido, New Quay, SA45 9TR . Online - add date and click 'Buy now' to make a £50 part payment deposit to secure your holiday. You can pay this by PayPal or card. The balance will be due to the owner 6 weeks before the holiday.